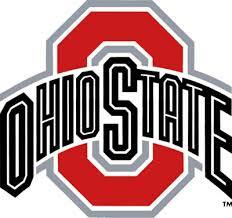 Ohio State University Mansfield Campus is a four year, public university in Mansfield, Ohio. At Ohio State University at Mansfield, students can choose from ten bachelor’s degrees offered on campus or start any of Ohio State’s 200 undergraduate degrees and finish in Columbus, Ohio. Ohio State also offers a limited, but growing number of online programs. OSUM is a MyCAA approved school. Across all regional campuses, Ohio State currently enrolls over 1,800 current veterans, dependents, and Active Duty, National Guard, and Reserve members who are attending as both undergraduate and graduate students. The Ohio State University at Mansfield was created through a partnership between Mansfield area citizens and the State of Ohio. In the early 1960s, the Ohio Board of Regents designated Mansfield as a site for an OSU regional campus. Soon after, local citizens mounted a major campaign to acquire 640 beautifully wooded acres for a campus site. Buildings began to be constructed, and the campus opened for classes in October of 1966.